I have a real treat for you today, Jeanette from Jeanette’s Healthy Living is here to share some of her favorite gluten-free recipes, introduce us to the world of running a household with 4 boys, and make us wish we were part of the family so we could enjoy all of her delicious food! Jeanette and I have a very similar approach to healthy eating – just because something is good for you doesn’t mean it can’t taste amazing, too. With 4 boys you can pretty much guarantee that Jeanette takes every step she can to create food that’s not only nutritious, but hearty, and delicious to boot (just check out those homemade Clif bars). While Jeanette is running the show today here on the blog, you can find me over on hers chatting about my personal road to health and sharing some of my all-time favorite allergen-free recipes, be sure to check it out. Also, I’ve just posted the winners of the Meal Planning Giveaway, be sure to see if you’re one of the three lucky winners. Take it away, Jeanette! Hi Everyone! 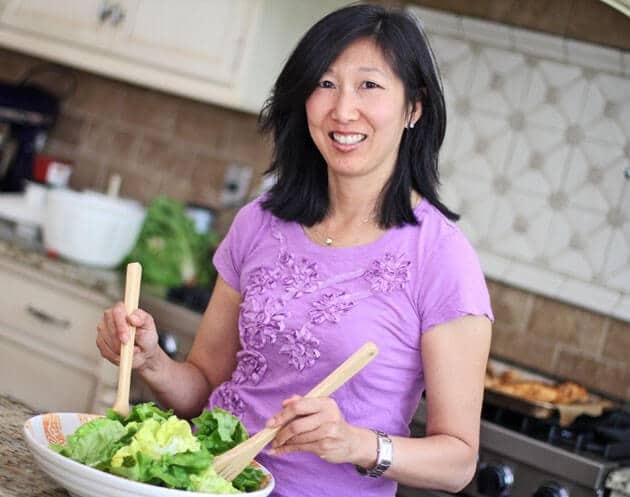 I’m Jeanette, the writer, recipe developer, and photographer behind Jeanette’s Healthy Living. Leanne and I thought it would be fun to write a guest post on each other’s blogs so our readers could learn more about us. So, I am really excited to tell you a little bit about myself, and for my readers to meet Leanne. I came across Leanne’s blog last year when my youngest son was found to be allergic to a variety of foods, including gluten, dairy, and eggs (after putting my son on an elimination diet, I am happy to report that he is now only gluten-free). Leanne and I have similar food philosophies – that flavor doesn’t have to be sacrificed when you eat healthy. So, let me tell you a little about myself. I am the mother of four boys, ages 9, 16, 16 (yes I have twins! ), and 19 (a freshman in college) and the wife of my college sweetheart (who I met the first week of my freshman year). I worked in corporate finance for 15 years before deciding to stay home full time with my boys. After years of working long hours and traveling away from my kids, I realized it was time for me to hang up the corporate hat and be a full-time mom. After all, why did I have all of these kids if I saw them all of 2 hours a day? So, what;s it like living with a house full of boys? It’s loud, messy and crazy most days. There’s always a ton of laundry to do, some sports event on TV to watch, and lots of noise, wrestling, and running around the house. In fact, whenever friends call my house, they think we’re having a party. I wish my life was more exciting, but usually it’s just the boys chasing each other around the house, talking in their loud teenage voices, or my little guy putting his older brothers in their place. Oh, one more thing about having a house full of boys – they eat a lot! Yes, it’s a bit crazy in my house, but I love it and wouldn’t trade it for the world. Today I’m sharing some of my family’s favorite foods, many of which are gluten-free. Although only my youngest is gluten-free, most of the recipes on my blog are either naturally gluten-free or easily adaptable to gluten-free. Let’s start off with breakfast. Looking to try something different for breakfast? 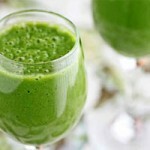 Why not try A Beginner Green Tea Green Smoothie – I actually got my kids to try this, although they prefer my Easy Fruit Smoothies. 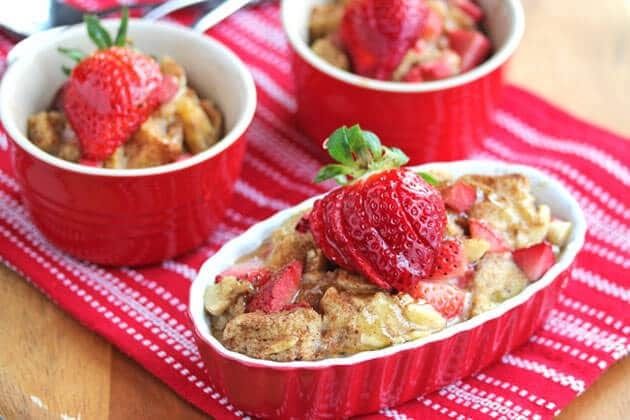 Beginner Green Smoothie This Strawberry Banana French Toast Casserole is a real treat in the morning. 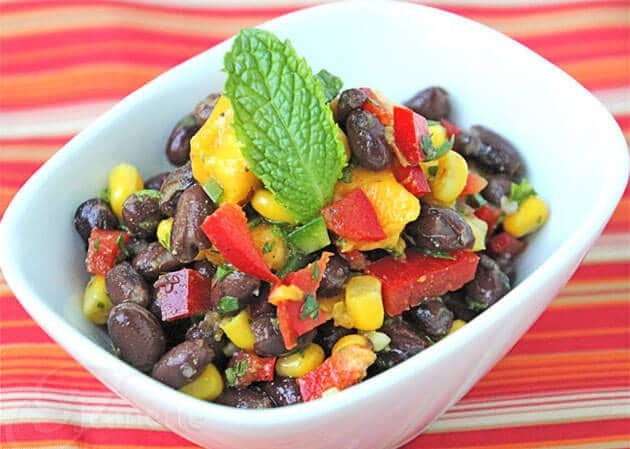 Roasted Corn, Avocado and Black Bean Salsa Hot Black Bean Salsa Dip I cook dinner nearly every night and love to try out new recipes on my family. 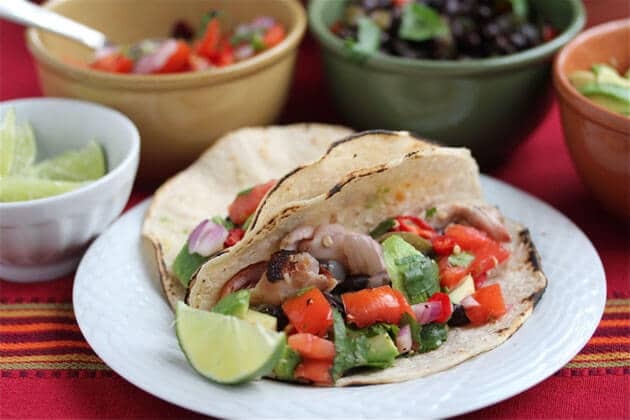 One of my kids’ favorite foods are tacos, including these Pollo Asada tacos. I’ve also made Chicken with Garlic and Chile Tacos and Korean Chicken Tacos to mix things up. 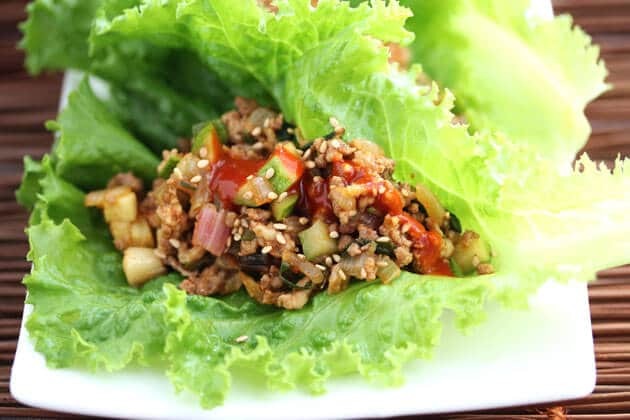 These Korean Lettuce Wraps are also a favorite with family and friends, and a great way to get kids to eat vegetables. My kids could eat pasta almost every night if I made it. This Tomato Paste Pasta is my oldest son’s favorite pasta, and it’s also my standby meal when we go on vacation. I actually pack the ingredients in my suitcase so I can make this for dinner our first night. 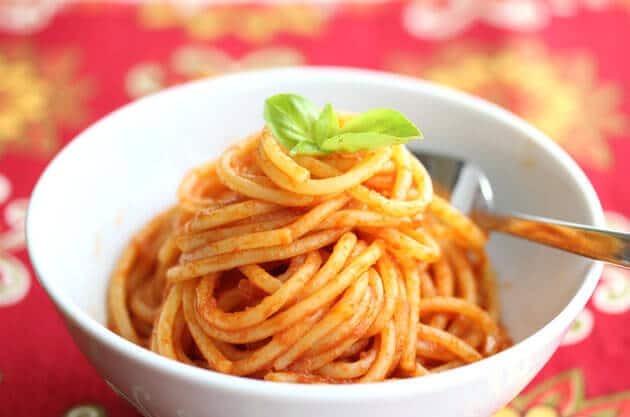 These pasta recipes are also on my go-to list for dinner: Sundried Tomato Pesto Pasta Basil Garlic Scape Pesto Pasta Crockpot Turkey Bolognese Pasta Sauce Over the years, I have tried to incorporate more whole grains into my family’s diet, but I’ve learned never to compromise on taste; otherwise they won’t eat it. 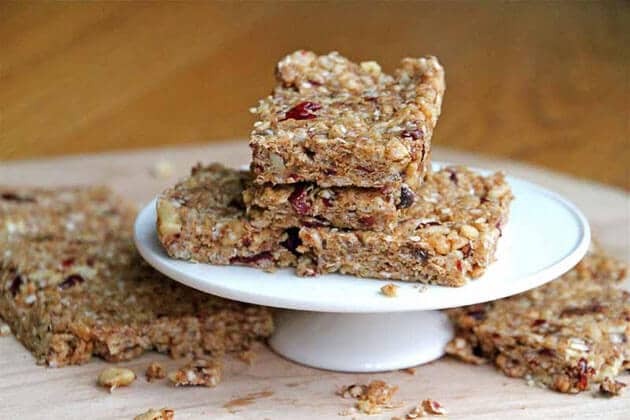 When my youngest son was allergic to multiple foods, these Gluten/Oat/Casein/Soy Free “Clif” Granola Bars were one of the first treats I made for him. Here are a few other whole grain recipes I’ve made that my boys have enjoyed: Gluten-Free Blueberry Crisp Quinoa Pilaf with Mushrooms Vegetable Fried Rice And finally… drumroll… these are some of the Gluten-Free recipes that I am especially proud of that made my youngest son tell me that I am the best mom ever. Now that melts my heart. 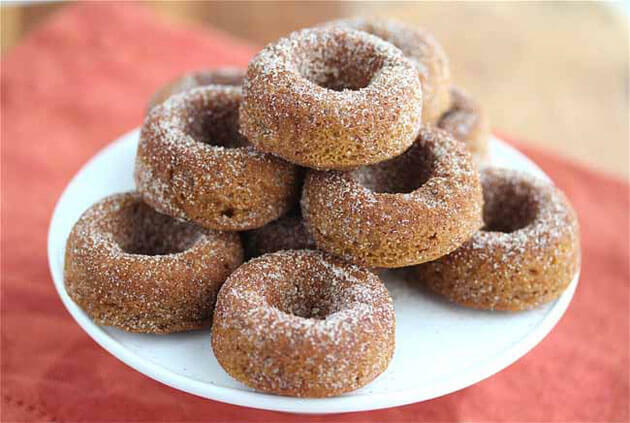 When I made these Gluten/Dairy/Egg-Free Pumpkin Spice Donuts for the first time, I couldn’t believe they came out so good. Although gluten-free baking was tricky when I first started, I’ve gotten the hang of it.